The idea that providing more information about food served in restaurants, such as calorie and fat content, would reduce the risk of weight problems has widely been greeted with skepticism and outright rejection. 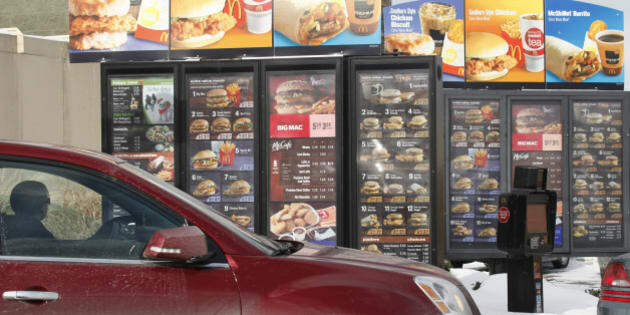 Now a new study presented at the Second Annual Obesity Journal Symposium in Boston showed that calorie labeling on menus can indeed influence the choices people make. The idea that providing more information about food served in restaurants, such as calorie and fat content, would reduce the risk of weight problems has widely been greeted with skepticism and outright rejection. Now a new study presented at the Second Annual Obesity Journal Symposium in Boston showed that calorie labeling on menus can indeed influence the choices people make once they become aware of the differences. "Calorie labeling helps people understand what's in their food, and makes them aware of healthier options," said Charoula Nikolaou, a dietitian and doctoral candidate at the University of Glasgow, Scotland, and lead author of the study report in an interview with Science Daily. Unlike some of the snapshot surveys taken in the past when calorie posting was first introduced and made mandatory for larger chain restaurants in places like New York City and parts of California and Oregon, this study followed a group of college students over a total period of two academic years, or 72 weeks. During the first year, calorie information was displayed in cafeterias on campus for only five weeks, while in the second year the practice was continued for nearly the entire time. As expected, the shorter experiment produced little if any changes in the participants' food choices. However, in the following period, when calorie information was given consistently and was presented in predominant, easily discernable ways, their eating behavior eventually changed, resulting in virtually no weight gain for most of the students. "We were glad to see that exposure to our prominent calorie labeling for an entire school year did not just reduce weight gain in these students, but eliminated it altogether for the group," said Ms. Nikolaou. Prior studies by scientists at New York University and Yale University found that when calorie postings appeared initially, it had no significant impact on restaurant patrons. Half did not even notice or understand the data, even when they were displayed prominently and explained in great detail. Less than a third of those who did take note said it influenced their choices, according to reports by the New York Times. So why the difference between now and then? Obviously, there are no simple answers, however, there are some clues we can learn from. First, the study involving the college students took place in a controlled environment (the campus cafeterias), and was limited to a relatively homogeneous group (all university students). This does usually not apply to the public at large. Second, as the authors point out, it is the first long-term research of its kind and is likely to produce different results than prior attempts with a shorter view. Third, the whole concept of counting calories as a means of managing one's weight is now much more familiar and plausible to people, especially the young and the educated, than it was just a few years ago. So researchers have generally more fertile ground to work with. What this latest study demonstrates, I think, is that providing information in ways people can readily understand and immediately apply in their lives does indeed help facilitate behavioral changes over time, especially if it yields measurable advantages. Some of these changes must eventually happen, even if they don't seem palatable at first.